This quote resonates with me and explains my diligence and take on skincare since my teens. Till now, there is not a day I would miss my skincare routine or skip the major steps. Yet, there are still days that dullness sets in. Fast-paced lifestyle, work, travels, diet, stress and many more from the multiple roles we play. Though makeup does wonder on the outside, it all starts with a beautiful canvas powered from within. After all, beauty starts from within. 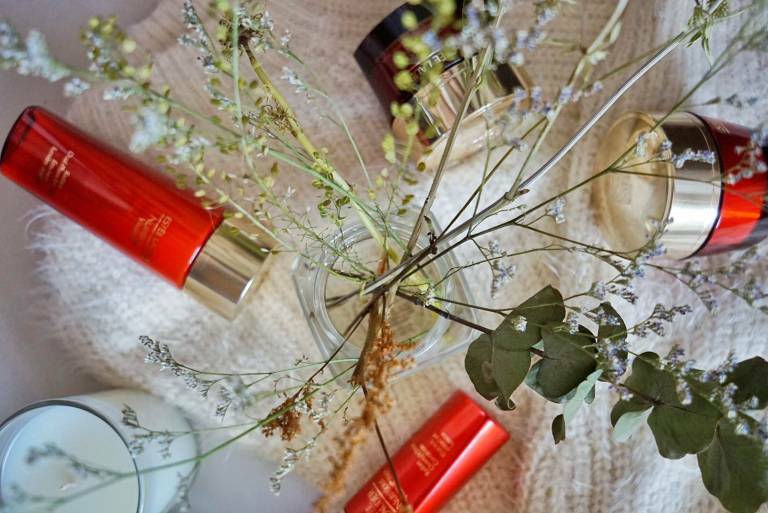 This is in sync with the Traditional Chinese Medicine philosophy where beautiful and radiant skin starts with healthy looking, well-balanced skin. 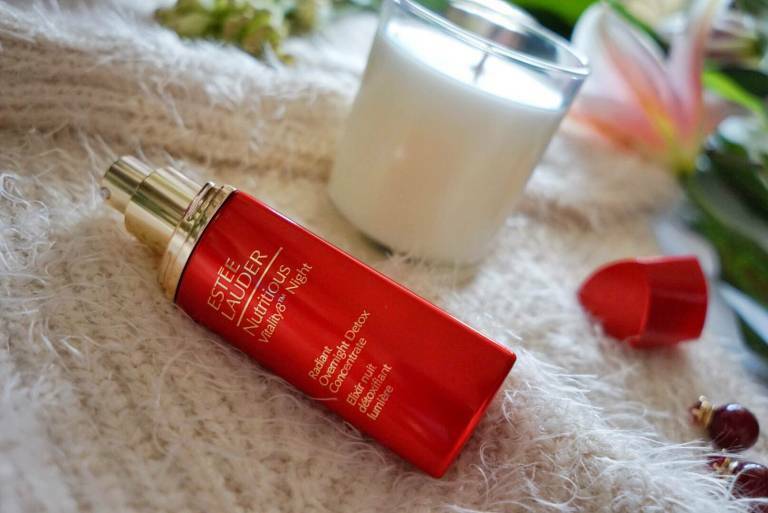 And for over a decade, Estee Lauder has been unlocking the secrets of healthy, beautiful Asian skin by taking inspiration of this philosophy through the Nutritious range. 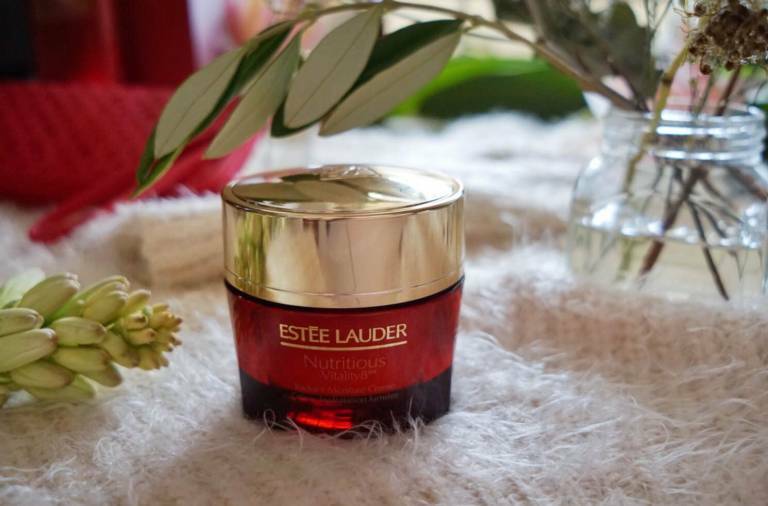 Now, Estee Lauder has intensified the power of pomegranate used in the Nutritious range with the NEW Nutritious Vitality8 collection formulated with NEW Pomegranate Complex. This collection activates 8 signs of vitality with 8 powerful ingredients in just 8 days. Here’s a little sharing on my experience the past 8 days. But before we get there, let’s take a look at the collection. NEW Pomegranate Complex is a power up of the super fruit with more anti-oxidant ability in a unique blend of 8 powerful ingredients. And how would this unique blend smells like, we wonder. Fruity delicious but not overly sweet. ADDICTIVE! More about it later! By delivering this intensive infusion of energizers, deep hydration, vitamins and minerals to skin, NEW Pomegranate Complex provides vital energy and key nutrients that support skin’s natural balance. In just 8 days, the NEW Nutritious Vitality8 collection helps to reactivate 8 key signs of radiantly healthy skin from the inside-out. Sounds like something we all need? Indeed! 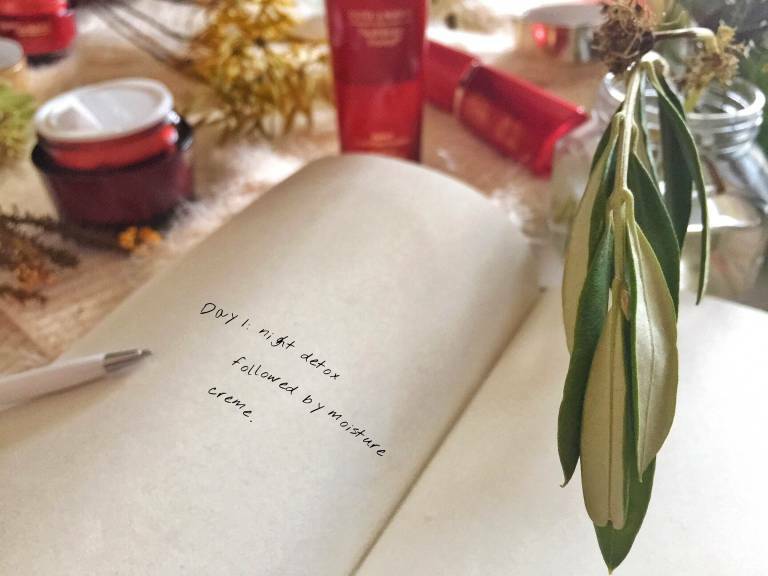 So, let’s take a peek at my daily notes before I go into the details of the products. Shall we? Always start with a good base. So I decided to embark on this collection with a detox (Overnight Detox Concentrate and paired it with the moisturizer (Moisture Crème). Skin feels hydrated the next morning. I remember this being a hectic day, swamped with work and errands. But skin felt energized and softer even at the end of the day. It was the third day into the detox and second day of using the emulsion. That night, I started on the Overnight Crème/Mask. 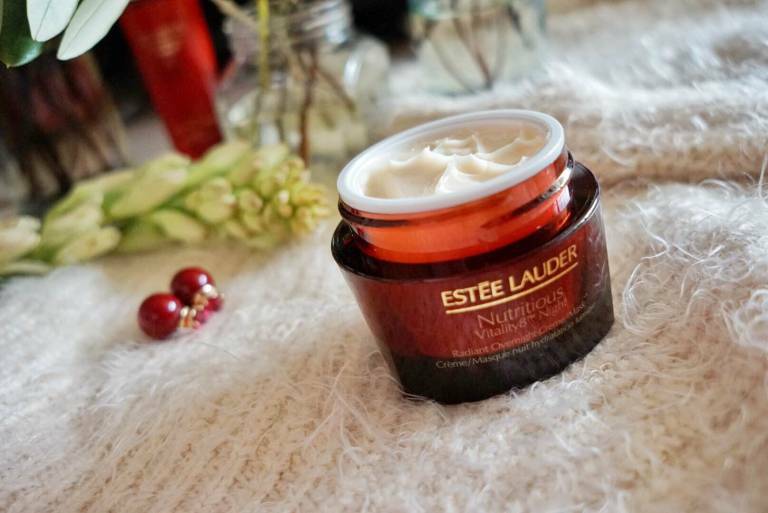 The cream is intensely rich and so I decided to use it more as a booster, an overnight mask. Interestingly, my skin improvement on the 8th day was observed by my facial therapist. She asked if I have been resting very well lately as my skin seems radiant and supple! Happy dance! I have been using all four products so far and have not felt any discomfort on my skin. In fact, I seem to see improvement on my pores too and will continue to observe the condition. What impresses me most about this collection is how versatile it is to suit the different skin tone. Here are some of my thoughts and how I integrate them respectively into my daily routine for my combination skin. Every skin needs a clean and strong base before other skincare can work its miracles. Thus, my pick to begin my journey of radiant, nourished skin with this intensive detox treatment. It is to be applied before night moisturizer as the concentrated pomegranate power works with our skin’s natural renewal cycle while we sleep. Formulated with Clay to help absorb impurities and detoxify skin, this concentrate removes toxin and help purifies accumulated damage from pollution and other aggressors. It seems to have minimized my pores and I will continue to use this for 28 consecutive nights (as recommended at the beginning of every season) before switching it to a twice weekly booster. This lightweight lotion can be applied before or in place of the moisturizer. Thus, making it a versatile pick for any skin type and condition. For my combination skin of oily tzone and dehydrated cheeks, I prefer using it in place of moisturizer in the day and layer it with moisturizer on my cheeks in the night. It is more than a treatment lotion, this innovative dual-phase formula strengthens skin’s internal moisture barrier and leaves skin looking dewy fresh and full of radiant vitality. It also contains Ginseng which complements the high-intensity of NEW Pomegranate Complex to recharge skin with vital energy. 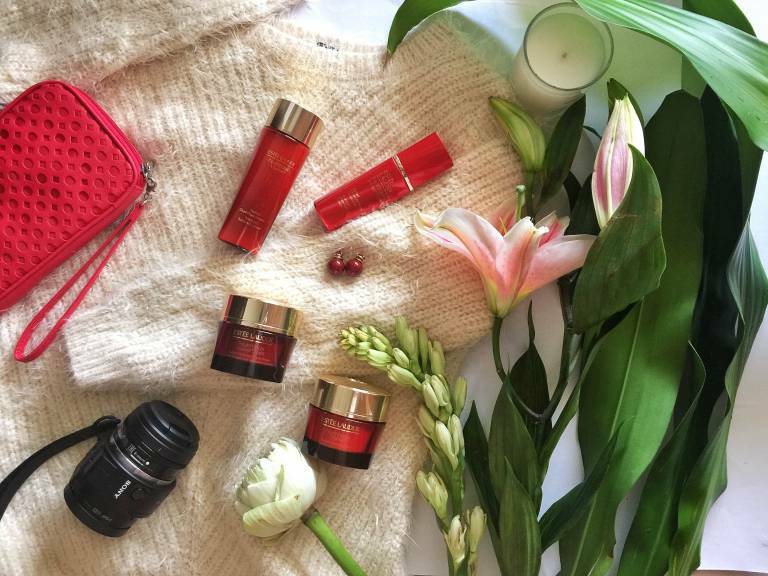 Skin’s radiance is instantly revived and refreshed with an energizing burst of light hydration and nutrients. Remember to shake well before use. 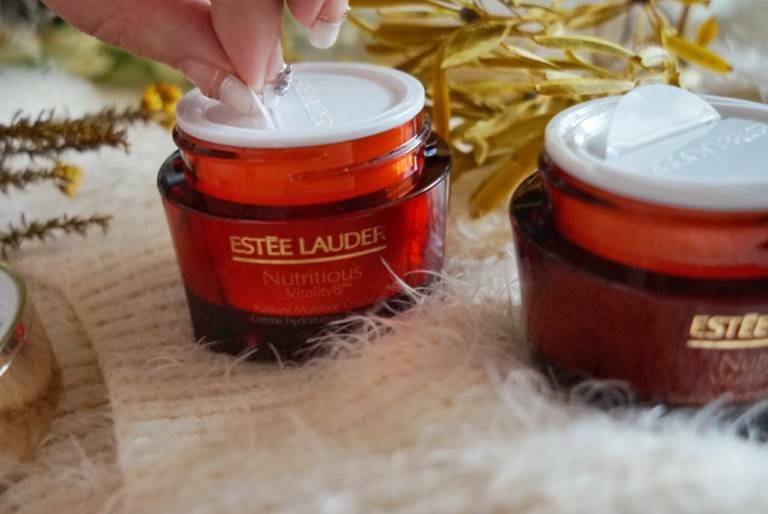 A moisturizer for intense hydration. My skin feels smooth and the moisture lasts all day long. 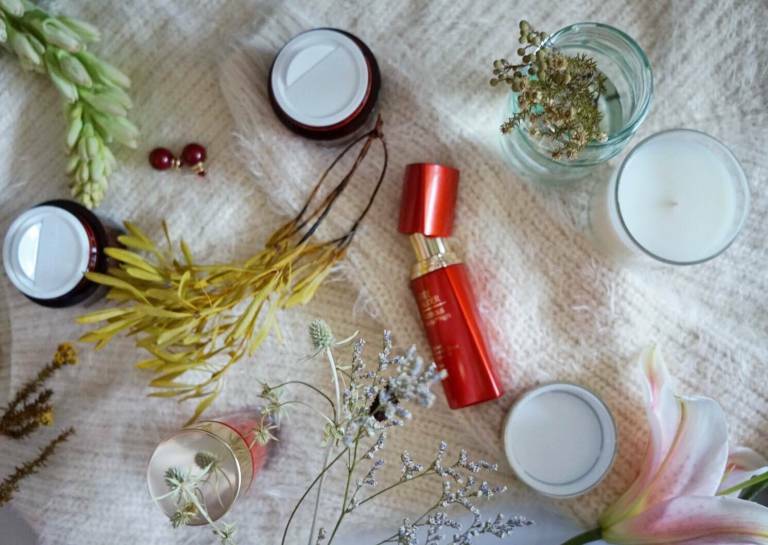 I am generally more careful when it comes to richer cream for my combination skin and do not use them daily. However, I gave it a try daily the past 8 nights and I am more than pleased with the results; smooth and plumped skin with lasting moisture. It also contains lasting anti-oxidant power which helps neutralize environmental aggressors. Makes a great addition to our routine for both day and night. 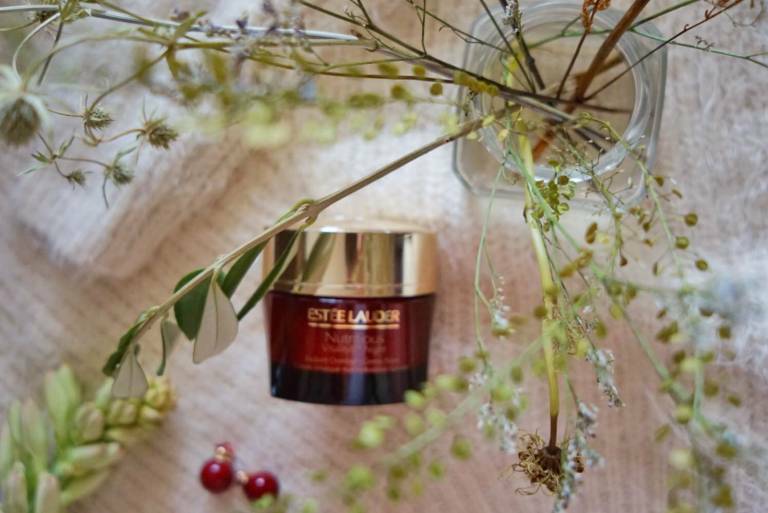 A night moisturizer which can double up as a sleeping mask to restore skin’s balance and infuses deep hydration and nourishment. It helps to re-activate skin’s natural moisture defenses. 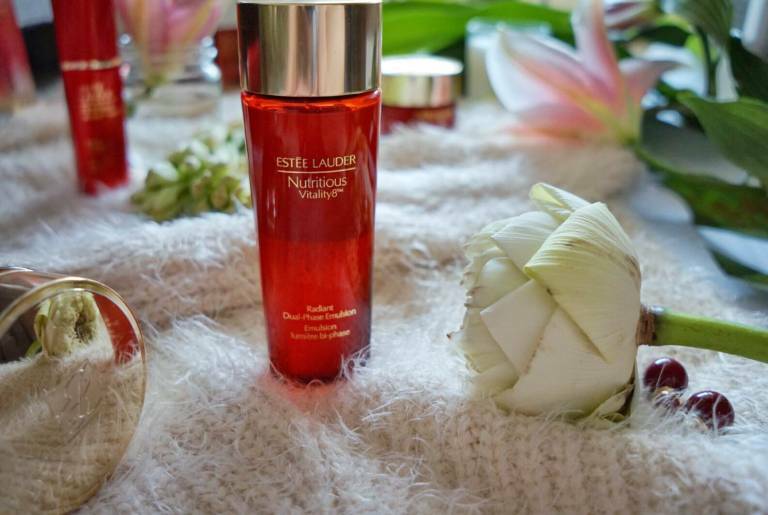 A nightly dose of this intense nutrient infusion gives a renewed, radiant and well-rested skin in the morning. As for my combination skin, I will prefer to use this more as a twice weekly booster mask in place of the Moisture Cream. The scent as mentioned earlier can get addictive. 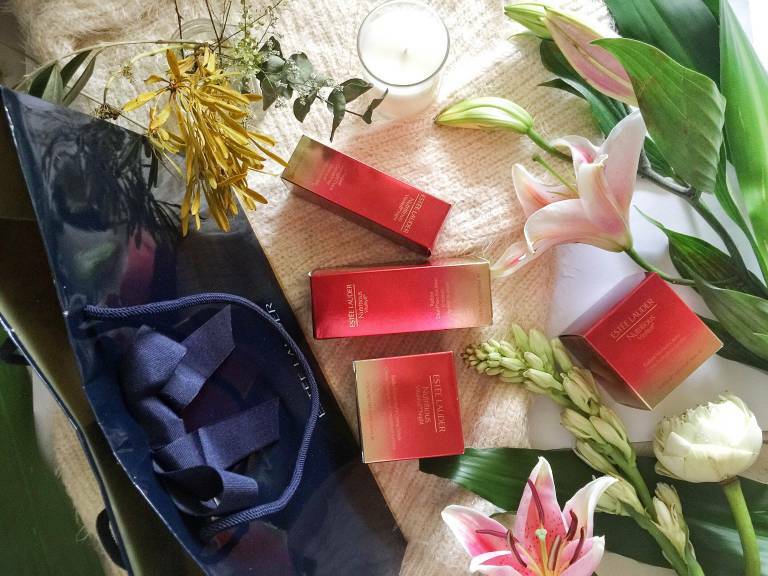 Inspired by the exquisite essences of the South Pacific, this illuminating scent enlightens the senses. Sparkling Grapefruit, Chinese Orange and Black Currant blend harmoniously with the delicate fusion of Fresh Rhubarb, Asian Pear and Cherry Blossom. The subtle whispers of Lotus Flower and Pink orchid are softened with Fruity Musk bringing a sheer finish to this natural infusion. 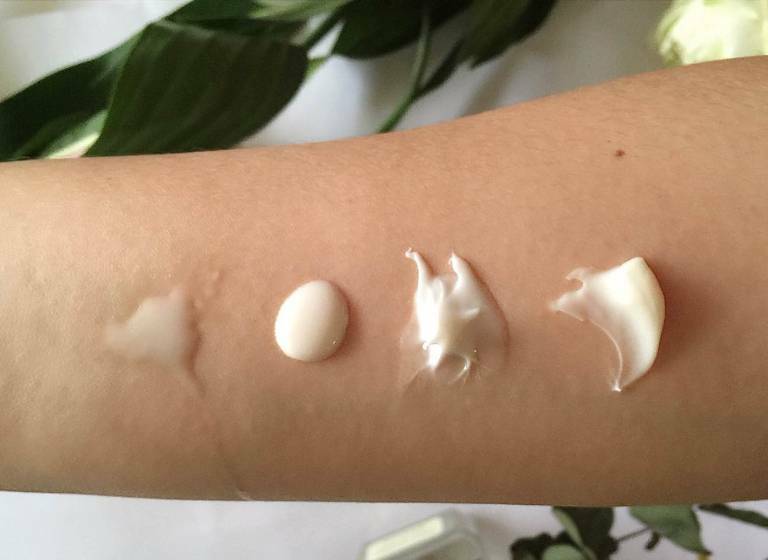 And the texture in all the four products absorbs easily and quickly into our skin, leaving skin feeling nourished but not sticky. In the span of 8 short days, I’ve experienced radiance, hydration and see a smoother and healthier skin. What impresses me most about the NEW Nutritious Vitality8 collection besides the scent and speed, is how versatile it is to suit the different skintone. Hope you enjoyed my little sharing as I leave you with another favourite of mine from this Power of Eight… the lid, the hidden power. The white plastic lid with a flap makes it easier to open, shorten application time and simply adds a touch to the whole experience.